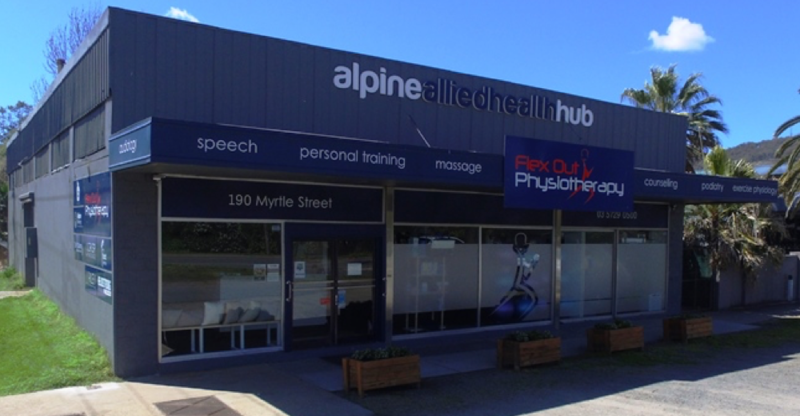 Flex Out Physiotherapy Myrtleford is located within the Alpine Allied Health Hub. It is a multi-purpose facility hosting a range of specialty healthcare services including podiatry, massage therapy, counselling, speech pathology, exercise physiology, personal training, audiology, nutrition and dietetics. The hub includes three treatment rooms, an open plan gym, reception and waiting room, ample car parking and toilet.